Last week several members of our staff had the opportunity to attend the 2016 National Hurricane Conference. We were able to attend some great sessions, and hope that the knowledge we gained will better enable us to serve you. 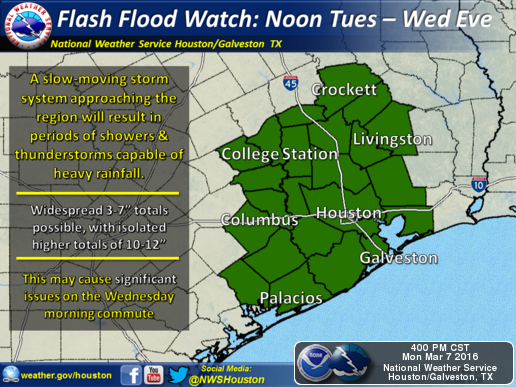 The National Weather Service has cancelled the flood warning for Northern Brazos County. 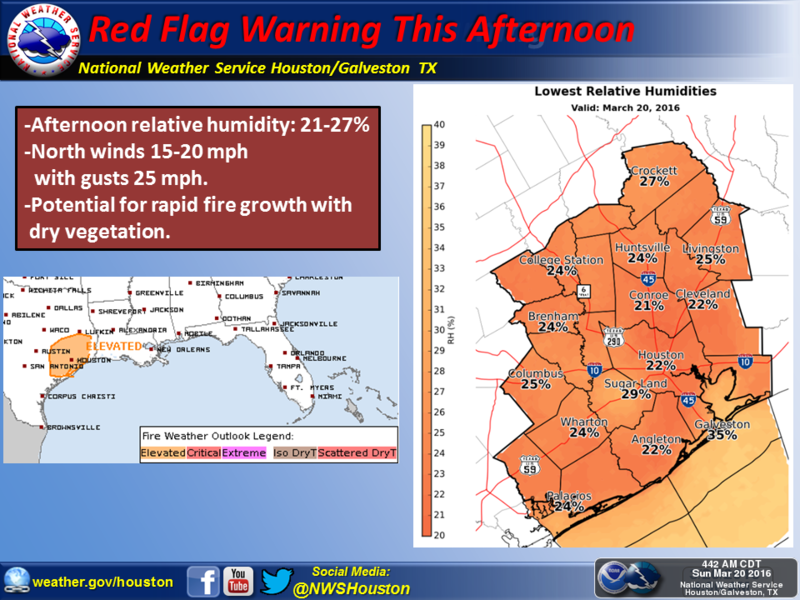 * At 1000 AM Tuesday the stage was 14.9 feet. 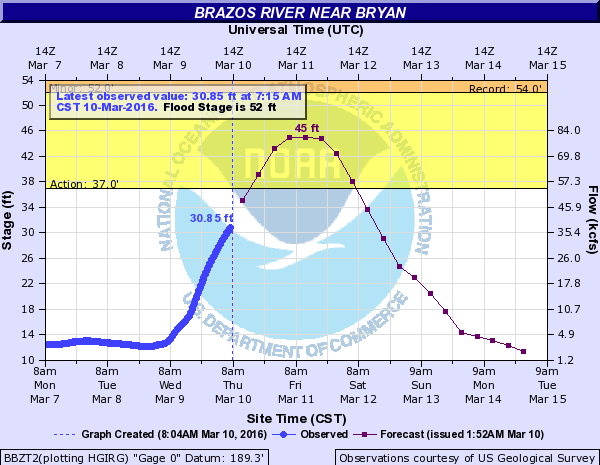 * Fell below flood stage at 7:00 AM Tuesday. 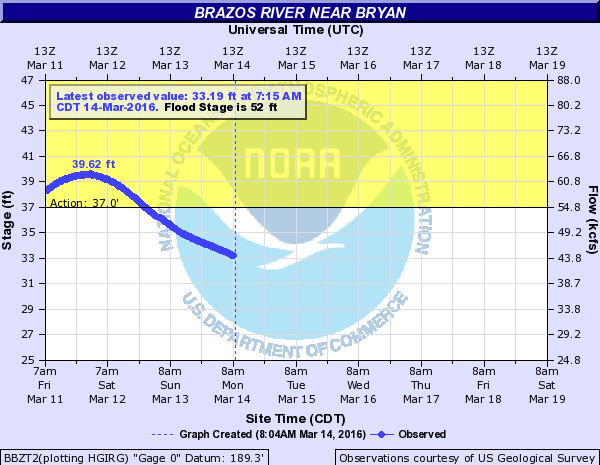 For up-to-date information on road closures in Brazos County, bookmark the Brazos County Road & Bridge Notifications Map & DriveTexas. Update: Flood Warning will now expire at 16:00 hours on March 15th. 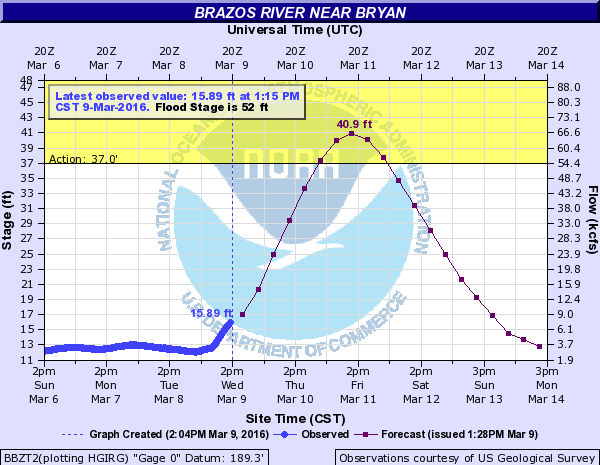 The Brazos and Navasota Rivers are on their way back down, but rain chances return later this week. 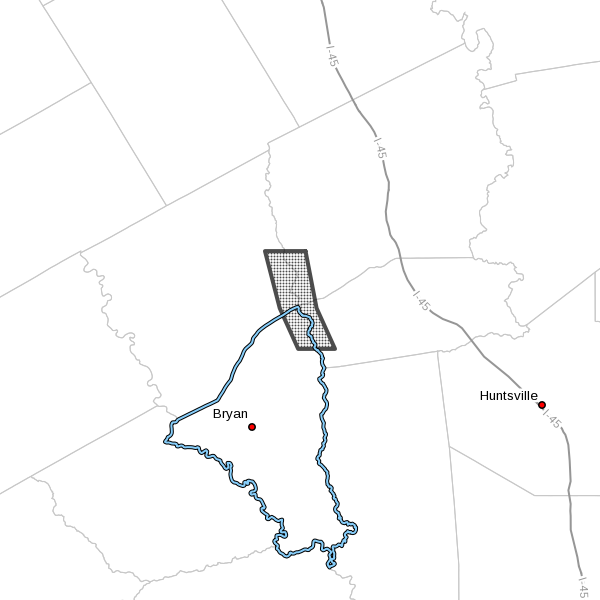 Northern Brazos County near the Navasota River remains under a Flood Warning until March 17th at 07:00. The only weather related road closing is Elmo Weedon Rd at Wickson Creek. The culvert system failed at this location, and repair work is estimated to last for 2-3 weeks. 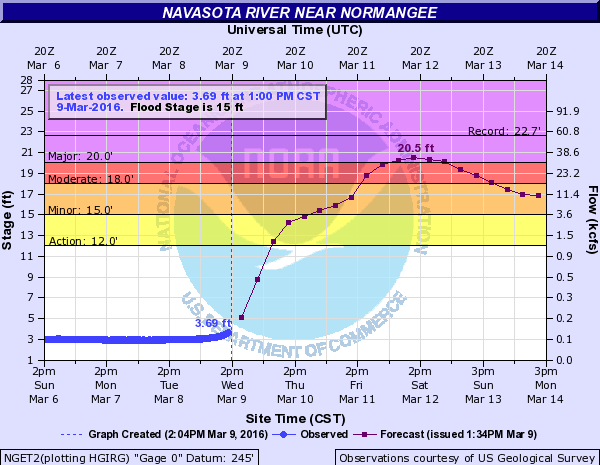 OSR near the Navasota River has been closed due to water over the roadway. 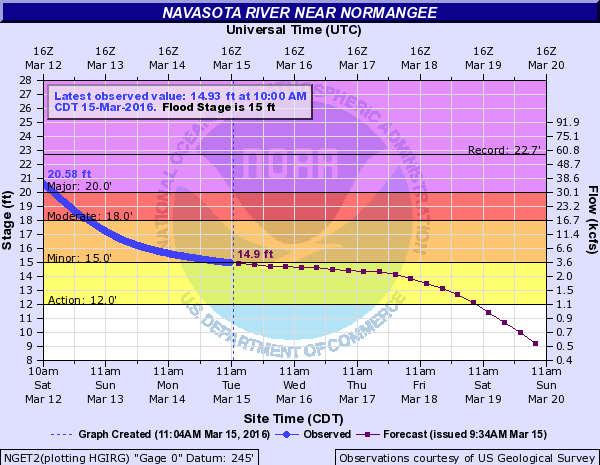 The river forecasts below are showing both rivers cresting in the next 24 hours, and the Navasota staying in the flood stage for some time. 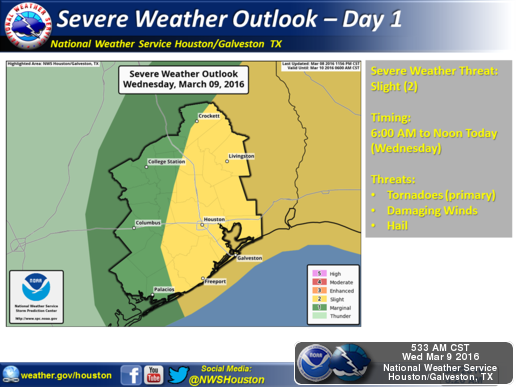 There have been several road closures, and more are expected as the rivers come up. 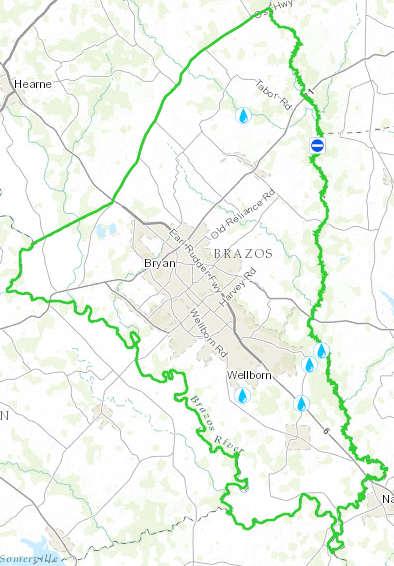 For up-to-date information on road closures in Brazos County, bookmark the Brazos County Road & Bridge Notifications Map & DriveTexas. 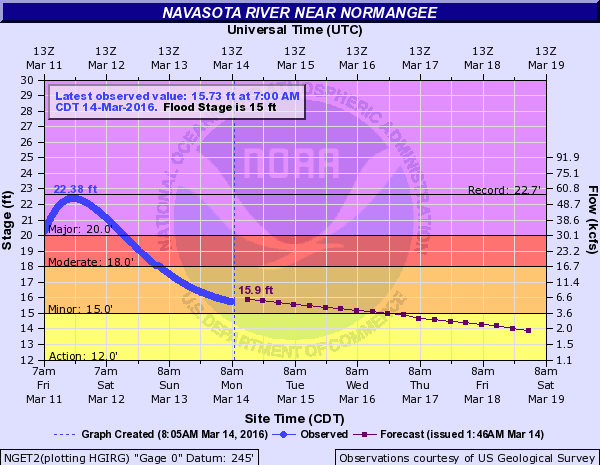 To monitor flood gauges, check the NWS West Gulf River Forecast Center. 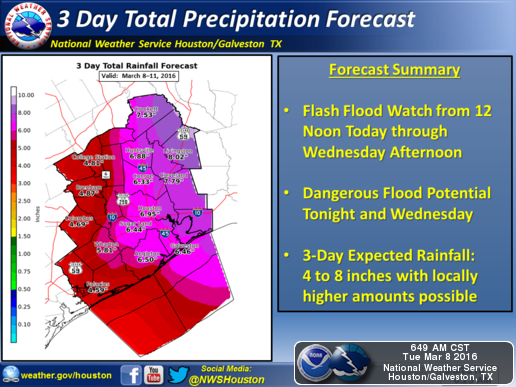 Please be aware of conditions in flood prone areas. 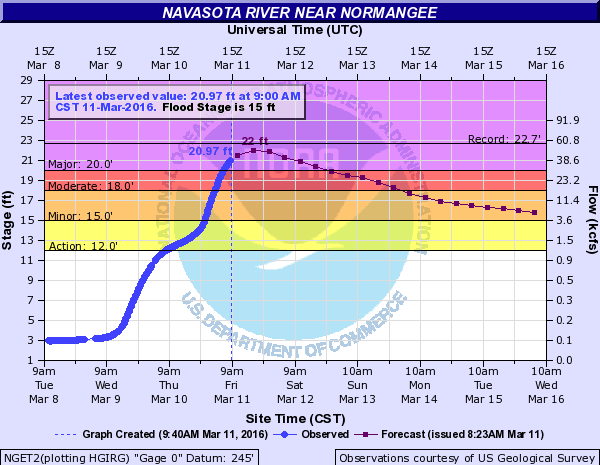 The Brazos River is expected to crest on Friday, and the Navasota River is expected to crest on Saturday. 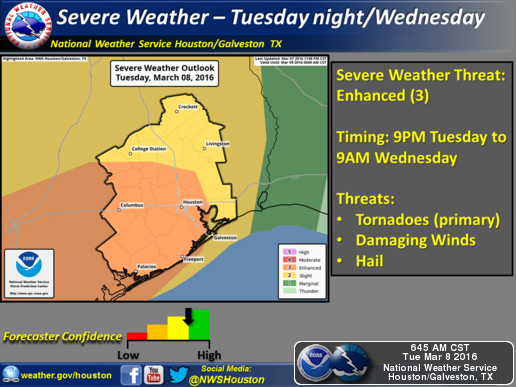 The graphics below are predictions based on current flows and precipitation. 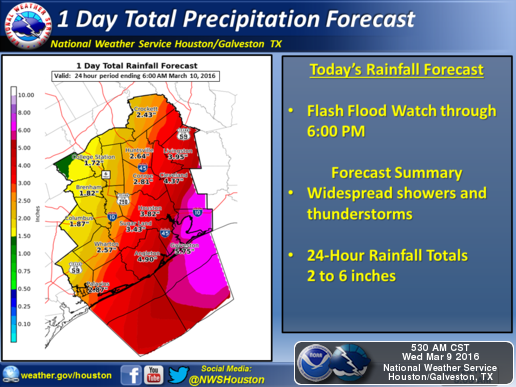 They are subject to change based on dam activity upstream, and addition rainfall amounts. 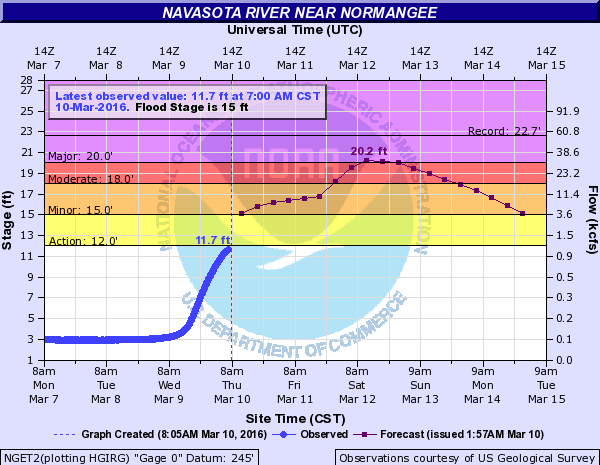 There have been several road closures, and more are expected as the rivers come up. 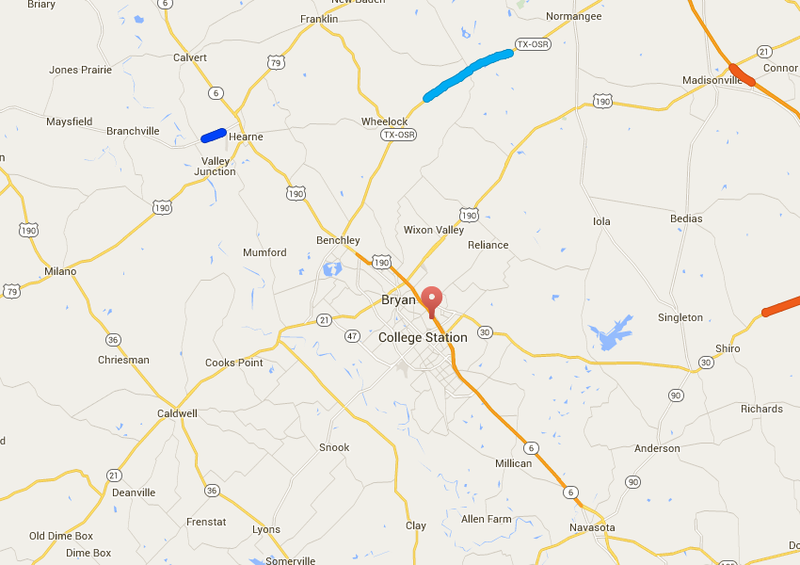 For up-to-date information on road closures in Brazos County, bookmark the Brazos County Road & Bridge Notifications Map. 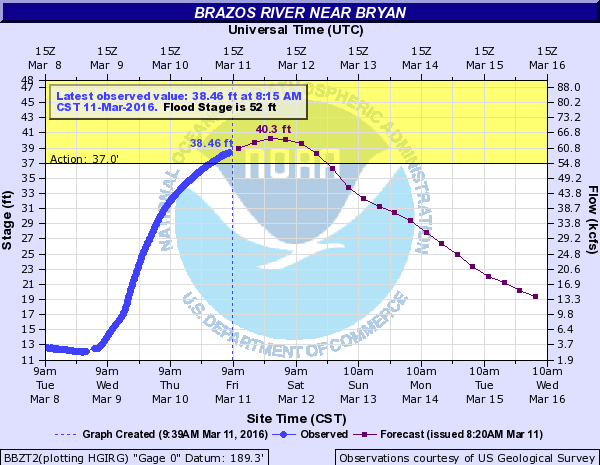 Both of our rivers will be rising over the next 48-72 hours. 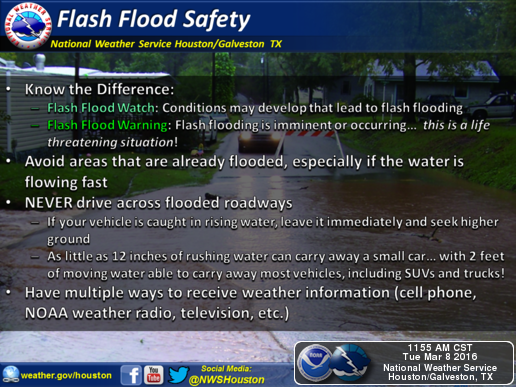 Please be cautious in flood prone areas. 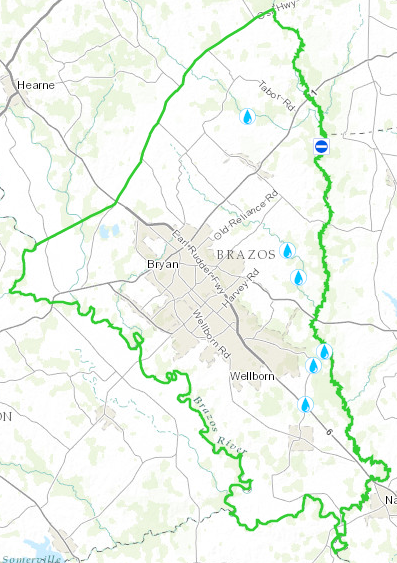 For up-to-date information on road closures in Brazos County, bookmark the Brazos County Road & Bridge Notifications Map.